High as the Heavens captivated me from beginning to end! Set amid the backdrop of World War I, Kate Breslin thrills readers with a fascinating tale of intrigue and suspense. I loved the intricacies of the plot and the historical details that are cleverly woven through this dramatic story. 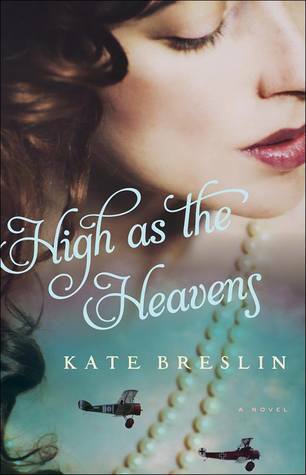 A sweeping tale of risk and romance, High as the Heavens is not to be missed! Britney, thank you for a wonderful review of High As The Heavens! I’m so glad you enjoyed the story. Blessings! You are most welcome, Kate! I love reading and sharing your extraordinary stories! !